Now that you’ve picked the perfect dress, all that you have to do is find the perfect pair of shoes. Although it may seem simple enough, there are a variety of things that brides need to think about to find the best pair, ranging from comfort to their color. Below are 3 tips that you can use to your advantage to find the perfect wedding shoes. The first thing that you need to take into consideration is the color that you want your shoes to be. Do you want them to match your gown? Perhaps you want to be a little different and have them match the color that your bridal party is wearing. Regardless, color is one of the most important parts of choosing the best shoes for your wedding. If you have a white or ivory gown and you want a more traditional look, search for shoes that match the color of your dress. Whereas if you want a pop of color added to your ensemble, consider picking flats or heels that match the color of your bridal party. You could even consider wearing blue shoes as your “something blue”. The majority of brides fall in love with bridal shoes but don’t think about their practicality. Remember, unless you’re interested in paying double to have 2 pairs of shoes to wear, you will want to pick a pair that are comfortable and beautiful. This may also depend on the type of dress that you’re wearing. If your gown reaches the floor, you can wear relatively anything that you want as it is unlikely that anyone will see what’s on your feet. Whereas if you have a high-low dress or a tea length gown, you will need shoes that are show stoppers. Think about the amount of time that you will be wearing them and ensure that they won’t cause you to have blisters by the end of the night. Another thing to take into consideration in terms of practicality is whether you will wear the shoes again or not. 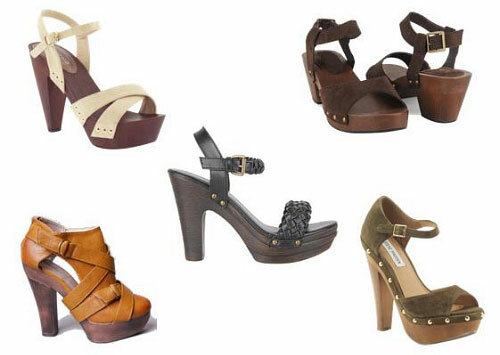 This could drastically influence your shoe budget, the type of shoe that you choose, and even the color of the shoes. The majority of brides find that they save their shoes and never wear them again – but who says you need to follow that trend? There’s a reason as to why the masters of fashion are known as the masters, this is usually because they know what’s in style and what looks best on brides. Consider designers such as Jenny Packham, Manolo Blahnik, or even Jeffery West Shoes for Men. If you’re under a tight budget, try to find shoes that emulate the style of high-end designers. Though it can be quite advantageous to get quality fashion-forward shoes from name-brand designers as they will last longer and provide a lasting impression, they may also come at an extremely high price tag. Think about your budget before you splurge on a pair of shoes that you may never wear again.